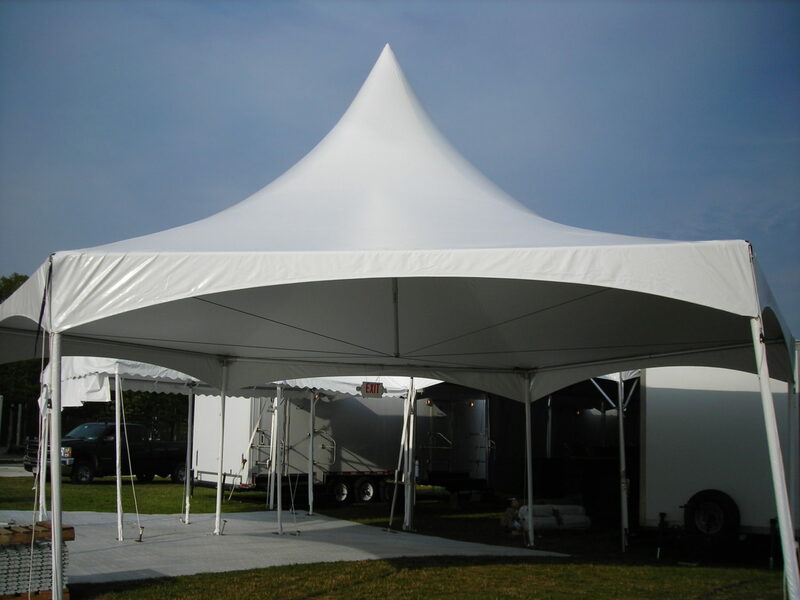 High peak tents were originally designed to mimic the style of tension tents. 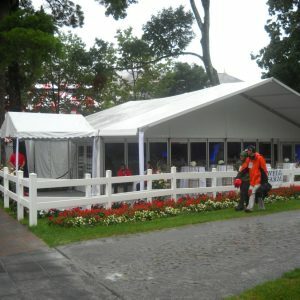 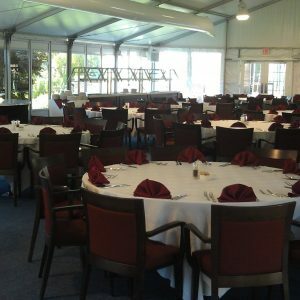 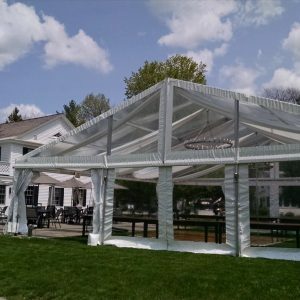 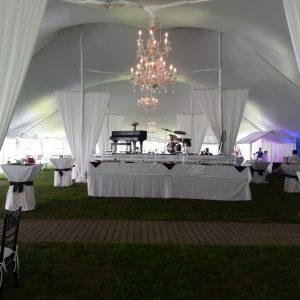 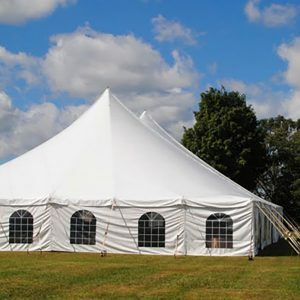 Sometime referred to as frame & cable tents. 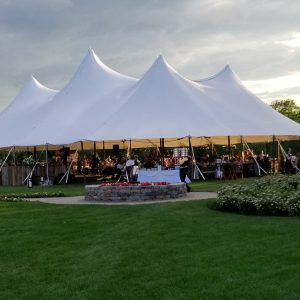 Their center pole mast creates a high peak which sits on overhead cables, creating a unique open space.